Great Scott! 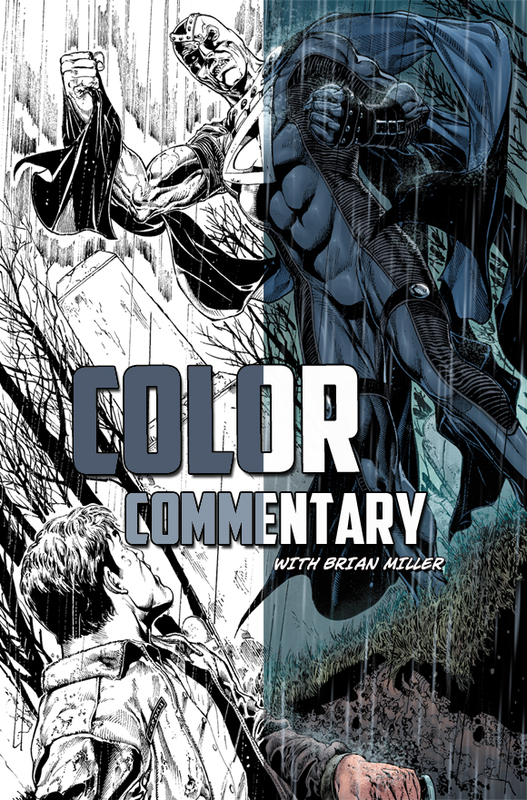 It’s time for another Color Commentary podcast from Comic Impact. This episode finds Sheldon at work, Kristy home sick, and Intern Justin out of the studio leaving Simon Daoudi and Hi-Fi’s Brian Miller to geek out over some new comic goodness. Things start out with an in-depth review (Spoliers!) of Green Lantern Annual #1. Simon and Brian go over the story with a find toothed comb pondering the darkness of the story and talking about the colors by team Hi-Fi. From stormy skies to muddy graves to soap bubble inspired galactic prisons you don’t want to miss the analysis of this issue. Pull out your issue and follow along, if you dare. Next the guys talk about the colors used for Superhero costumes from the 1940’s through today. Brian and Simon ponder the usage of primary and secondary color for heroes and villains and the technology that allowed comics to become more colorful and eventually more cinematic. The discuss ventures into how those costumes come to life on the big screen and even how those costumes come into play in the real world in products we interact with every day.